We love Jonathan "Meres One" Cohen's light bulbs. 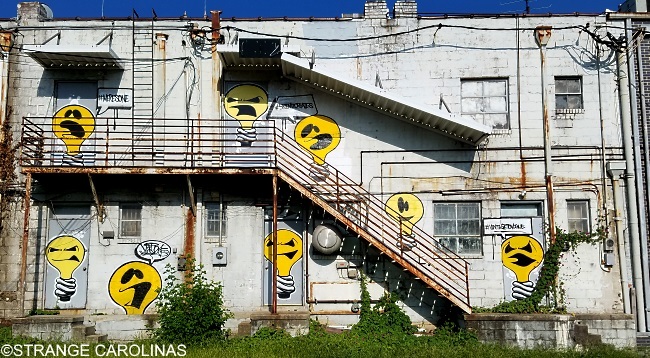 This collection is on the back of a building in downtown Greensboro, near ArtsGreensboro. We assume he did this piece when he was in town working with Tracks Bazaar.